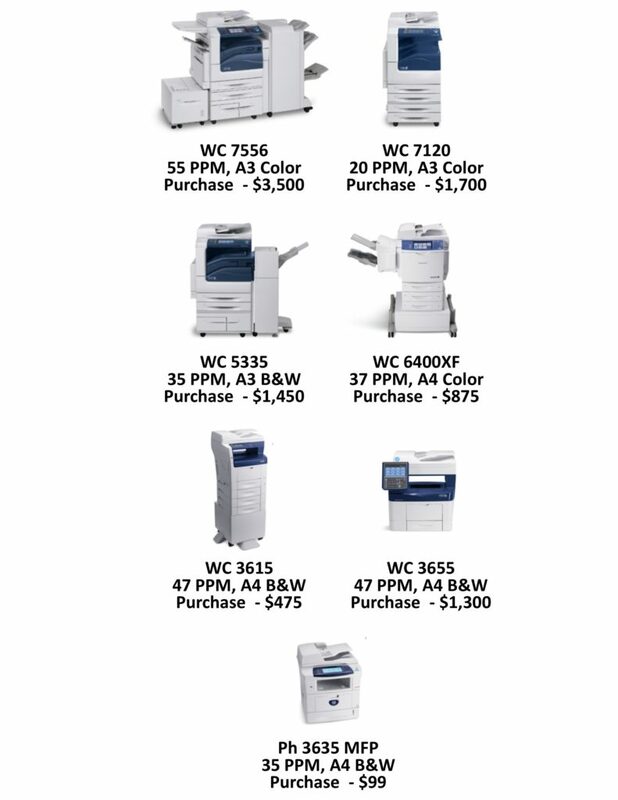 We currently have Xerox remanufactured multifunction copiers available at incredible prices! Contact us for more information on these refurbished units. Offers valid with a maintenance agreement. Act Now! These units will not be available for long!